Resveratrol (or trans-resveratrol, 3,4′,5-trihydroxy-trans-stilbene) is a naturally occurring phytoalexine found in several plants [especially the roots of the Japanese Knotweed (Polygonum Cuspidatum) and skin of red grapes]. Therefore, it can also be found in wine but in rather small quantities; 1 to 2 mg per 8 ounces. The interest in trans-resveratrol increased when epidemiologic studies indicated an inverse correlation between red wine consumption and the incidence of cardiovascular disease . It is considered a dietary supplement available in pill or powder form and it’s safety and effectiveness have not been approved by the US Food and Drug Administration. Animal studies are reporting significantly increased time to exhaustion after resveratrol feeding . It has been found that some of the beneficial effects of resveratrol are due to the activation of SIRT1 [2, 13]. However, more recent study by Pacholec et al. reported that resveratrol is not a direct activator of SIRT1. People born with certain increased variations in the SIRT1 gene seem to have faster metabolisms which helps them burn energy more efficiently . This indicates that resveratrol may be effective in improving the athletic performance. Trans-resveratrol was reported to provide health benefits including anticarcinogenic effects and protection against cardiovascular disease. Juan et al. were the first to find that long-term (90 days) oral trans-resveratrol supplementation (20 mg per kg of body weight) increases sperm production in healthy rats. They also noted a significant increase in serum concentrations of gonadotropins and testosterone . Another study in 2008 conducted on mice given an oral dose of resveratrol (50 mg/kg) for 28 days also noted a 51.6% increase in blood testosterone concentrations . Recently, a randomized, double-blind, placebo-controlled clinical trial  was published that evaluated this naturally occurring polyphenol for its effects on circulating androgens, prostate size, or biochemical markers of prostate size. Interestingly, even at high dose (1.000 mg daily for 4 months) testosterone, free testosterone, and dihydrotestosterone were unaffected. Kimura and Okuda  found that resveratrol, at doses of 2.5 and 10 mg/kg (but not at a dose of 0.6 mg/kg), reduced the tumor volume by 42%, tumor weight by 44% and metastasis to the lung by 56% in mice. In 1997, Jang et al. reported the ability of resveratrol to inhibit carcinogenesis at multiple stages. It inhibited the development of preneoplastic lesions and inhibited tumorigenesis in a mouse skin cancer model. Recent rodent studies and experiments in vitro provided some evidence that resveratrol may be helpful in preventing and treating some metabolic diseases, including diabetes [14,15]. According to the data from the literature it beneficially affected all three main aspects of diabetes management; reduction of blood glucose, preservation of beta cells, improvement in insulin action . It seems quite possible that resveratrol, alone or in combination with anti-diabetic medications, will be used in preventing and treating diabetes. What Else Can Resveratrol Do for You? Resveratrol has been shown to extend the life span of some simple organisms, such as yeast , fruit fly and others . Some recent studies have also reported extended life span of some short-lived fish . The median lifespan was increased by up to 56% . However, this effect was not shown in freely fed mice when started midlife . One should not expect to add years to his life by simply ingesting a single substance such as resveratrol. When it comes to aging things are not so simple and probably do not boil down to a single substance. 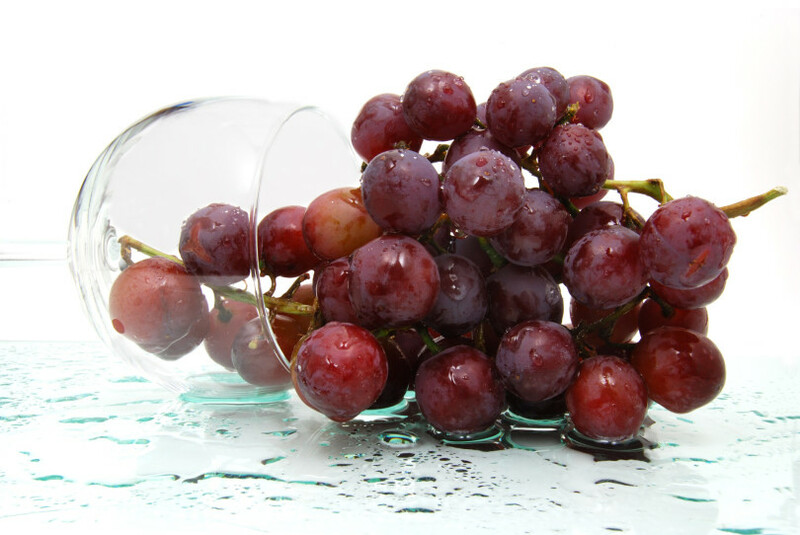 Resveratrol seems to reduce the harmful effects of high-fat diet. Baur and others  noted a high mortality rate in mice on the high-fat diet compared to mice fed the standard diet. With added resveratrol mice fed with high-fat diet had a 30% decreased mortality rate. Which was a similar rate to those on the standard diet. Reduced mitochondrial oxidative phosphorylation is associated with reduced longevity (also linked to insulin resistance in obesity and type 2 diabetes in humans). Therefore, Lagouge and associates  tested whether resveratrol (known to extend lifespan) impacts mitochondrial function. Resveratrol supplementation improved mitochondrial function and protects against metabolic disease by activating SIRT1 and PGC-1α (regulator of mitochondrial biogenesis and function). It does not seem to have any affect on prostate volume in healthy middle-aged and therefore can not be recommended for the treatment of benign prostate hyperplasia . Definitive well-controlled, human clinical trials demonstrating appropriate doses have not been conducted. However, typical dose of resveratrol is around 100-200 mg.
Resveratrol is not well-absorbed orally as humans metabolize it extensively, resulting in very low systemic bioavailability. Resveratrol ingestion doesn’t seem to have any major side effects and is likely safe. One animal study reports that exposure of male and female rats to a dose of 300 mg per kg of body weight of trans-resveratrol daily for 28 days did not have adverse effects . 5 g of trans-resveratrol caused no serious adverse effects in human volunteers . Toxicological studies show that it is non-toxic and easily absorbed by humans . However, temporary gastro-intestinal discomfort was reported at 2.5 g . Long-term safety has not been evaluated in humans. Juan, M. Emília, et al. “trans-Resveratrol, a natural antioxidant from grapes, increases sperm output in healthy rats.” The Journal of nutrition 135.4 (2005): 757-760. Lagouge, Marie, et al. “Resvertrol improves mitochondrial function and protects against metabolic disease by activating SIRT1 and PGC-1α.” Cell 127.6 (2006): 1109-1122. Kimura, Yoshiyuki, and Hiromichi Okuda. 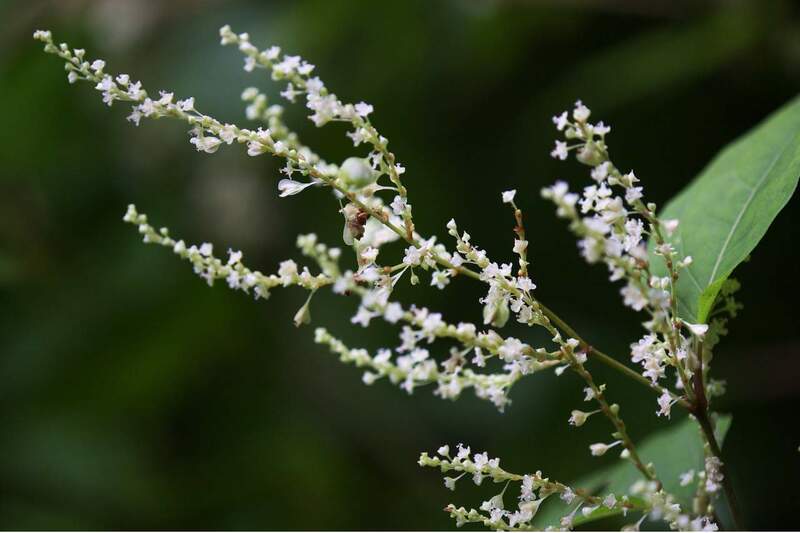 “Resve isolated from Polygonum cuspidatum root prevents tumor growth and metastasis to lung and tumor-induced neovascularization in Lewis lung carcinoma-bearing mice.” The Journal of nutrition 131.6 (2001): 1844-1849. Howitz, Konrad T., et al. “Small molecule activators of sirtuins extend Saccharomyces cerevisiae lifespan.” Nature 425.6954 (2003): 191-196. Bass, Timothy M., et al. “Effects of resveratrl on lifespan in Drosophila melanogaster and Caenorhabditis elegans.” Mechanisms of ageing and development 128.10 (2007): 546-552. Valenzano, Dario R., et al. “Resver prolongs lifespan and retards the onset of age-related markers in a short-lived vertebrate.” Current Biology 16.3 (2006): 296-300. Pearson, Kevin J., et al. “Resv delays age-related deterioration and mimics transcriptional aspects of dietary restriction without extending life span.” Cell metabolism 8.2 (2008): 157-168. Baur, Joseph A., et al. “Resveritrol improves health and survival of mice on a high-calorie diet.” Nature 444.7117 (2006): 337-342. Crowell, James A., et al. “R-associated renal toxicity.” Toxicological Sciences 82.2 (2004): 614-619. Jang, Meishiang, et al. “Cancer chemopreventive activity of trans-R, a natural product derived from grapes.” Science 275.5297 (1997): 218-220. Boocock, David J., et al. “Phase I dose escalation pharmacokinetic study in healthy volunteers of Res, a potential cancer chemopreventive agent.” Cancer Epidemiology Biomarkers & Prevention 16.6 (2007): 1246-1252. Knutson, Mitchell D., and Christiaan Leeuwenburgh. “trans-Resveratrol and novel potent activators of SIRT1: effects on aging and age‐related diseases.” Nutrition reviews 66.10 (2008): 591-596. Frojdo, Sara, Christine Durand, and Luciano Pirola. “Metabolic effects of resveratrol in mammals-a link between improved insulin action and aging.” Current aging science 1.3 (2008): 145-151. Szkudelska, Katarzyna, and Tomasz Szkudelski. “Resveratrol, obesity and diabetes.” European journal of pharmacology 635.1 (2010): 1-8. Szkudelski, Tomasz, and Katarzyna Szkudelska. “Anti‐diabetic effects of trans-resveritol.” Annals of the New York Academy of Sciences 1215.1 (2011): 34-39. Pacholec, Michelle, et al. “SRT1720, SRT2183, SRT1460, and Res are not direct activators of SIRT1.” Journal of Biological Chemistry 285.11 (2010): 8340-8351. Kjær, Thomas Nordstrøm, et al. “Resveratol reduces the levels of circulating androgen precursors but has no effect on, testosterone, dihydrotestosterone, PSA levels or prostate volume. A 4‐month randomised trial in middle‐aged men.” The Prostate 75.12 (2015): 1255-1263.